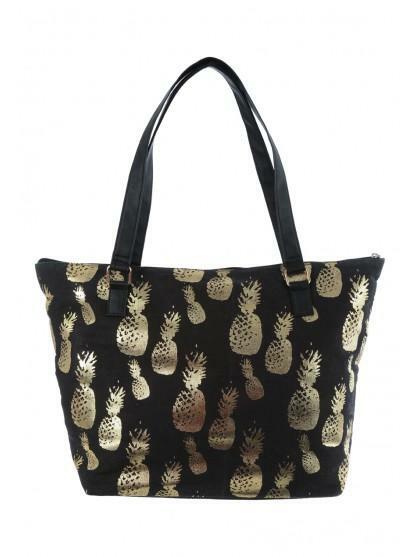 This bag will make a stylish addition to your collection of new season accessories. 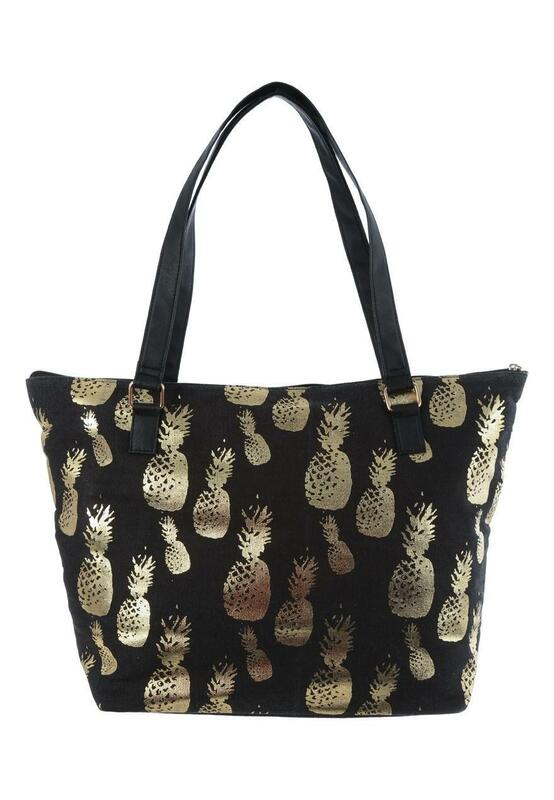 In black featuring a gold foil pineapple print and a zip pocket, it's perfect for days at the beach. Width: 48cm Height: 32cm Depth: 16cm.